Sales are hard to make for even many established companies, and for newer businesses or those with only a small profile in the market, they can be the difference between sink or swim. But before you can even make sales, you need to identify who exactly is interested in your product or service. Figuring this out seems simple, but truly identifying a customer base is one step many companies overlook — and come to regret. Understanding who your buyer is and then continually filtering a steady stream of potential clients into your pipeline is imperative for any business. Start with a general idea of who you serve and then continue to drill down. Are they young or old? Male or female? Urban or rural? Married or single? Homeowner or renter? High school graduates or doctoral students? Career-driven or seasonal workers? Fans of “Saturday Night Live” or “Meet the Press”? Who does your service appeal to most? With some services, paint-by-numbers demographics don’t always tell the full tale, so it is important to get into the details. Of course, life will be a lot easier for your business if what you provide is useful for more than one niche, but figure out who your core customer is before you start trying to find them. It’s imperative. 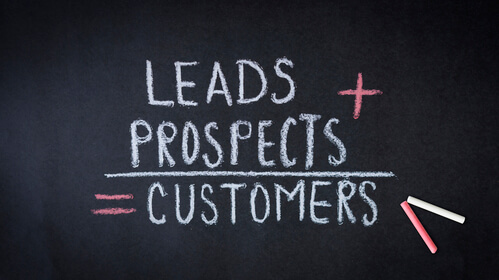 How do you go about getting new customers, or as Brad Sugars of Entrepreneur magazine calls it, “buying customers” since prospecting takes up resources? He lists the tried-and-true methods: advertising, promotions, referrals, networking, and partnerships. These are all must-dos for any business, and there are many others. One great method is trying to get into the news. If you’re in the tech space, there are countless blogs and other online outlets covering the industry. The same goes for food, fashion and even many niche industries. If you look hard enough, you’ll find some media entity covering your sector. And if you’re good enough, someone will want to cover you. Determine who these people are and get your name out there. Because while the above established ways to find customers are great, it will make it even easier if some customers find you instead. Social media has become another valuable tool for discovering customers searching for specific products. If you know of competition in your market segment, search on Twitter, and see what people are talking about. It may or may not be appropriate to approach those individuals directly on social media to tell them how you could serve them better. But even if that exact person doesn’t become a customer, they can give you valuable insight into what those looking for this service want. And learning these things firsthand in the language your potential customers actually use can teach you so much. You don’t have to rely solely on social, either. Using surveys or focus groups to figure out behavioral tendencies and other details will only help you learn more about your customers. And then you use that information to better define who your typical customer is, creating a cycle of customer pipeline improvement: The better you identify your customer, the better you can find more of them, and then when you find more of them, you can better identify them. Keep repeating the process even as you focus on turning prospects into sales. The best method to get someone to buy from you is by making your service essential. If they can come to see what you offer as invaluable, they will pay for it. Great modern day success stories include streaming services like Netflix and Spotify. A few years ago, no consumer knew they even needed these features in their day-to-day life, and now millions gladly fork over more than $100 per year rather than go without 24/7 access to on demand movies, television, and music. If you understand how your product is invaluable — and, more importantly, to who — you will be way ahead of the game. Identify your customers, find them through any means possible, learn how to serve them, and make yourself indispensable.